Chi Of Life > Discover > Our Blog > Are Depression and Obesity Related? Being overweight is not only bad for you physically – it can also have a serious impact on your mental health. The link between obesity and depression is not yet fully understood, but evidence-based studies indicate an association between the two conditions. People of all shapes and sizes suffer from depression, but overweight and obese people may be particularly prone to this type of mental illness. Obesity is often blamed on junk food and a lack of exercise, but the way a person feels about themselves may also impact their ability to maintain a healthy weight. From experiencing low energy levels to uncontrolled comfort eating, the symptoms of depression can make obesity even harder to overcome. If you struggle to control your weight, paying attention to your emotional wellbeing is just as important as watching what you eat. To help you recognise the warning signs of obesity-related depression, in either yourself or your loved ones, consider the following factors. A study has shown the link between obesity and depression is most prevalent in adolescents. Young people are already more likely to develop mental health issues than any other age group, but obesity can make them especially vulnerable to poor self-esteem. With rates of obesity spiralling out of control, depression among overweight children and teenagers has the potential to become a major health problem. One of the simplest ways to combat obesity-related depression in adolescents is encourage them to focus on the physical benefits of weight loss, rather than just the aesthetics associated with being slimmer. This will allow them to develop a more positive attitude toward their bodies. 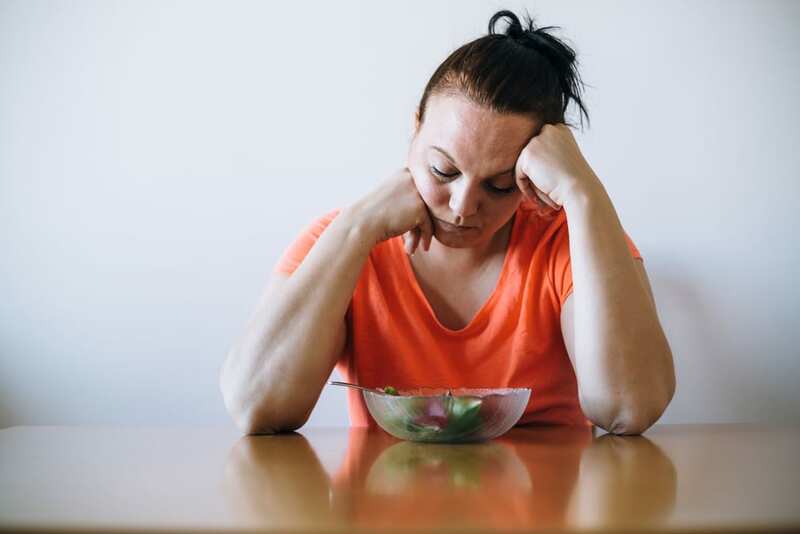 After trying to lose weight through excessively restrictive diets that inevitably fail, the impact on a person’s sense of self-worth can be devastating. Rather than completely trying to overhaul your diet overnight, gradually developing healthy habits is a much more effective method for long-term weight loss. Forcing yourself to eat food that you can’t stand simply won’t work; to beat the cycle of failed diets, it’s helpful to find recipes that are not only fuel for your body, but also delicious. And if you fall off the healthy eating wagon, there’s no need to beat yourself up about it. Simply start again the next day. Comfort eating, also known as emotional eating, is one of the most common symptoms affiliated with obesity-related depression. If you ever find yourself unable to resist junk food when you’re sad or anxious, you could be eating to fill an emotional need, rather than your appetite. It’s thought that this habit developed is developed in early childhood, when we learn to associate food with positive emotions. Comfort eating can carry over into adulthood, with the stress of balancing work, family and social commitments often driving people to overindulge. Recognising the triggers associated with comfort eating is essential to overcoming this unhealthy habit. By making a conscious decision to not allow your feelings to dictate your diet, your cravings will become much easier to control over time. It can be easy to blame low energy levels on excess weight, but depression could be the real reason you struggle to get out of bed in the morning. Feeling emotionally drained can make you physically tired, so that it’s even harder to find the motivation to exercise and prepare healthy meals. Depression in itself is emotionally exhausting, even without the added stress of living with obesity. If you ever feel tired throughout the day and constantly struggle with low energy levels, even after a good night’s sleep, don’t disregard depression as the underlying cause. Unfortunately, a universal cure for depression simply doesn’t exist. Everybody is different, and improving both your mental and emotional health will require a customised treatment plan. Keep in mind that many of the most effective weight loss techniques can be used to combat depression. For example, exercise is thought to increases the level of serotonin in our brains, a neurotransmitter that helps to regulate moods and sleeping patterns. Be sure to speak with a medical professional if you think you may be suffering from depression, and always remember that your physical appearance has nothing to do with your value as a person. Whether you think you’re overweight because you’re depressed, or depressed because you’re overweight, working on both your physical and psychological wellbeing is essential for good health. At Chi of Life, we can help you reclaim your confidence. Contact us today for information, and to begin working on your emotional health today, see our blog on achieving wellness through positive energy.